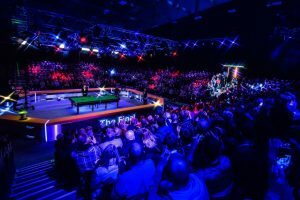 The eight unseeded players were drawn at random to play a seeded player with Group 2, which features International Championship finalists Neil Robertson and Mark Allen, scheduled for Thursday, November 8 to allow the players sufficient time to travel from Daqing to Coventry. With both Allen (The Masters) and Robertson (Scottish Open and Riga Masters) having already won events to qualify for the ManBetX Champion of Champions the spot reserved for the International Championship winner now goes to Luca Brecel as the highest player on the World Rankings not to have already qualified. Groups 2 and 4 look seriously more tricky than groups 1 and 3. At Coventry the players will play on the new Rasson tables which replace the Star tables. It will be interesting to see how these tables will influence the players and their game. Yes, the STAR tables in Crawley and Daqing seemed to play remarkably well. Are we having a ‘table wars’ with these suppliers?